Rich Illustrations. Dynamic Animations. Big Results. This series of five animated videos uses humor to connect Acuity Insurance with its customers. The digital campaign is drawing smiles from audiences—and the client—with more than a million views on the web. Our goal, as animators, was to bring illustrator Jon Reinfurt’s scenes to life with detail, humor, action and interest. Each of the five animation videos depicts a different but relatable situation that starts anxiously and ends happily with a call to an expert at Acuity Insurance. A harried homeowner has a rough day with some marauding squirrels. A renter’s piñata party gets out of hand. An auto owner picks a disastrous parking spot. A candy store’s customer data files get scooped up by a not-so-sweet hacker. A bandit makes off with a contractor’s toolbox, then his lunch, and then his hat. Each story leads to Acuity’s promise: Our insurance speaks to you, because our focus is you. Mode Project worked as true creative partners for the series. 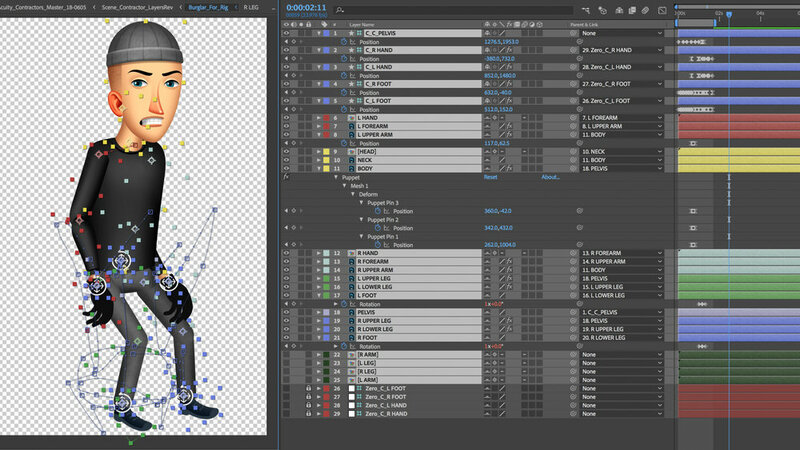 With animation, editorial and post-production all under one roof, we were able to streamline the process. The back-and-forth sharing of “what ifs” between the creative partners brought to life a presentation of the client’s message that is clearly drawn—consistent, yet bright and engaging. Want to talk? We’d love to learn about how we can help bring your project to life.